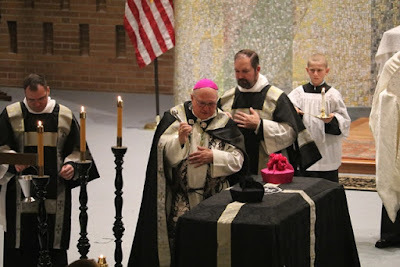 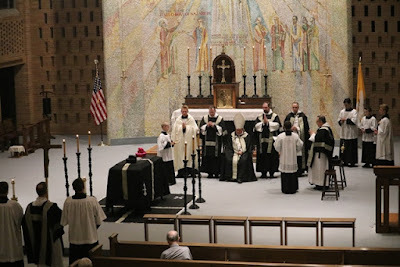 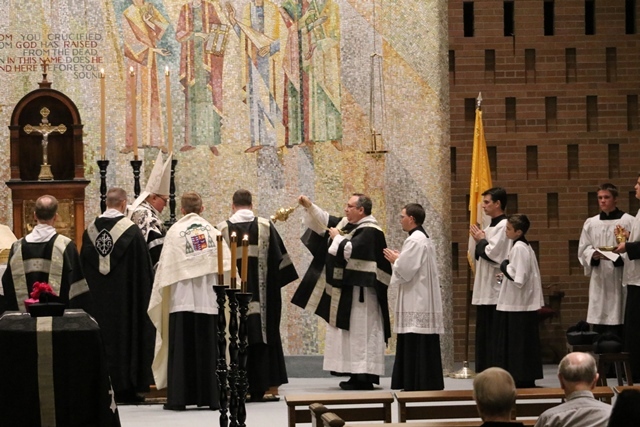 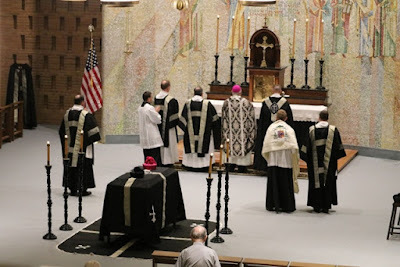 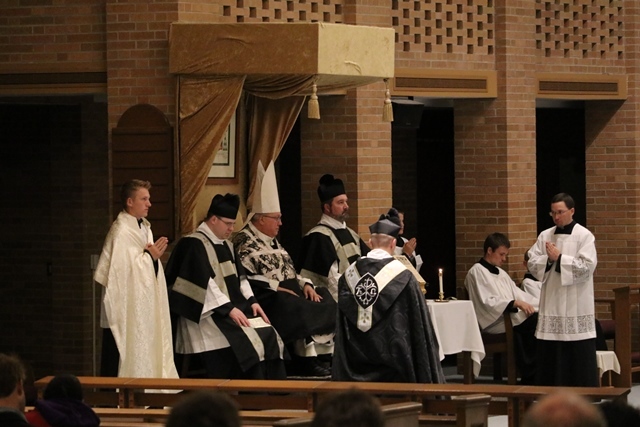 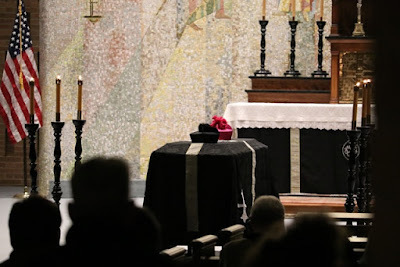 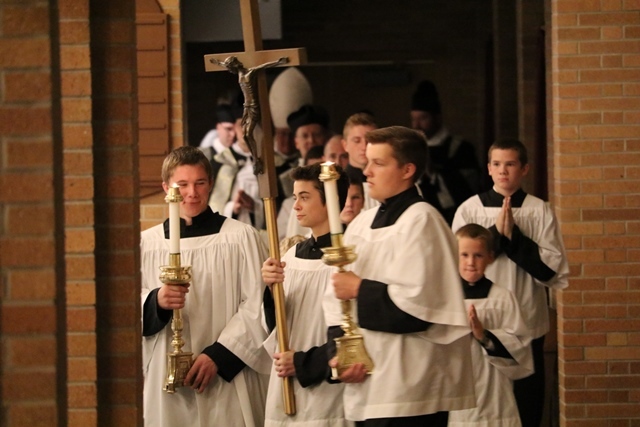 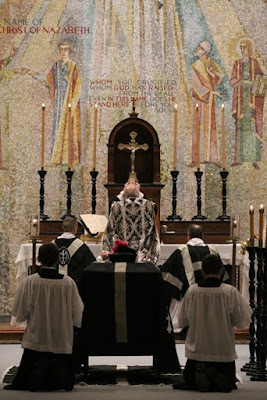 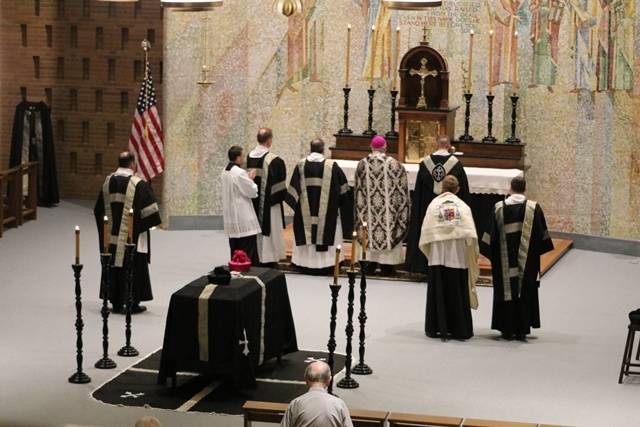 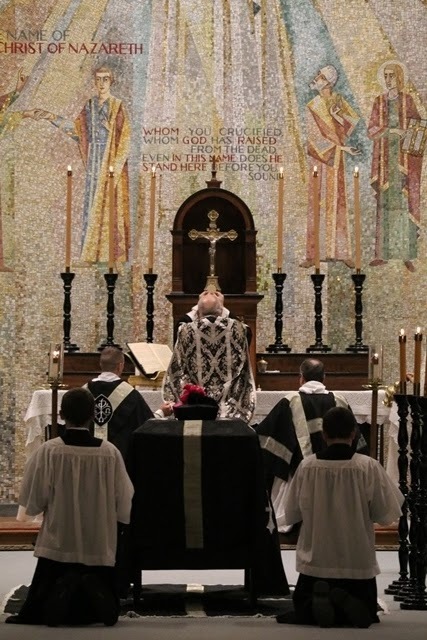 Our recent photoposts for All Saints and All Souls were prepared in a bit of a rush while I was getting ready for a trip, and I overlooked these pictures of a Pontifical Requiem celebrated by His Excellency Robert Morlino, Bishop of Madison, Wisconsin. 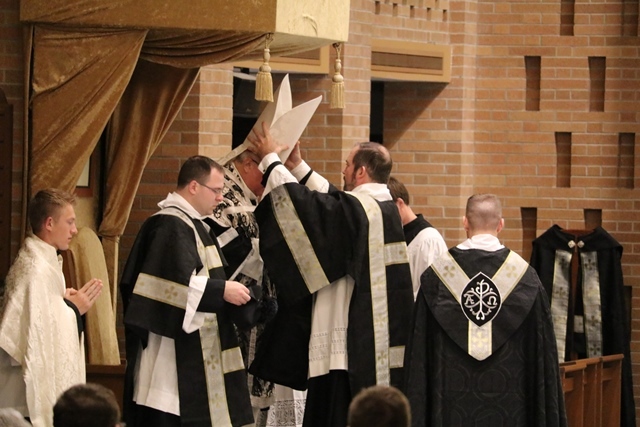 They are reproduced here from Fr Z’s blog, with our thanks; our thanks also to Bishop Morlino, who has strongly encouraged the traditional Rite both by word and his personal example. The Mass was celebrated especially for the deceased priests and bishops of the diocese, hence the episcopal and priestly birettas set on the bier. Tradition is for the young!